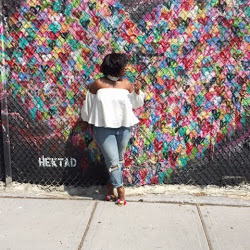 Diary of a Blogger: Are You a Make-up Wh*re? Are You a Make-up Wh*re? So I am totally obsessed with MAC make-up and NOW my newest obsession, which is NARS cosmetics. I have been wearing my hair with a bang for over a year and this is simply because I am trying to grow my brows out. I saw this episode of Oprah a while ago that if you start from scratch and take a break from getting your eye brows waxed, arch, etc then you will eventually have the perfect eyebrow. We shall see how this goes because it is ABOUT time for me to finally get my brows arched and shape like the picture above so that for my BIRTHDAY (January 31st) I can have the flyest make-up, brows and eye lashes on this special day. Since I am so into blue now I thought this would be all ME (this look). This is soft BUT dramatic all at the same time and I need this color in my life. What do you think? do you like? is is too much? What are some of your recommendations for perfecting your brows? Check out this FAB tutorial on Boss Chicks for getting "Natural Bomb Brows"
Darling Tammy... I haven't done a FOTD so long on my blog because I'm trying to grow my brows back. And this thang is TOUGH. It's hard to change something you've been doing for about 13 years smh. They're not where they need to be, as they're sparse, but they are finally in a shape I can work with. Why didn't I think of doing bangs? Le sigh. 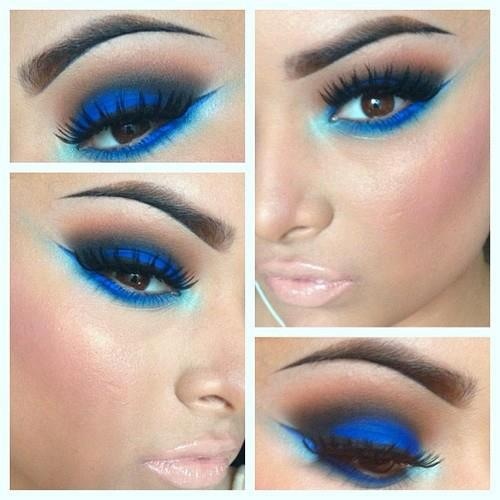 I love love love makeup, and I'm loving this blue look. I think you should go with it, hun! Man I wish my stupid eyebrows would grow back! I went to have them waxed and the technician jacked me up! Ugh!